The Austin real estate market is generating buzz within the investment community. Prices are high in this seller's market, but the thriving economy and continued population growth indicates that property values will continue to increase for the months and years to come. For investors, these are the ideal conditions that they search for when it comes to investing in a particular market. However, star-struck investors will still want to do their research before purchasing an investment property in Austin. According to a recent Forbes article, there are certain investment properties that will generate a significant return, while others may not be a successful endeavor for aspiring investors. 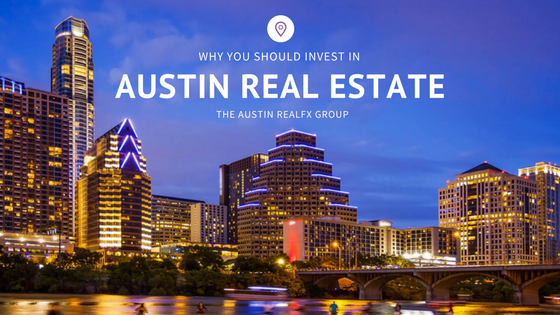 Why is Now the Right Time to Invest in Austin Real Estate? For real estate investors, the stars have aligned in Austin. On the whole, the population in Texas has increased by more than 10 percent in the last several years. This population growth can be attributed to people moving to Texas from other states, largely because of the job opportunities that are available in Texas. As more people seek to make Texas their new home, already rapidly-growing communities such as Austin have experienced a real estate market boom. Homes are in high demand, but inventory is still low enough that it's incredibly competitive. In addition, the job opportunities that are available in Texas are high-paying positions in growing industries. The majority of jobs that have been created in Austin and throughout the state of Texas are in fields such as technology, health care and energy. A strong economy complete with high-paying jobs has given new residents the ability to purchase real estate, while also driving the market forward into the future. However, highly-competitive markets typically mean an influx of people who opt to rent over purchasing a home. Single-family homes — There's more people moving to Austin than there are houses available. While the home building industry is gearing up, development cannot keep up with the pace of population growth. Investors who purchase single-family homes will often have renters available, but they should be mindful of the fact that rent prices will not increase significantly over the next several years. Luxury townhomes and apartments — Many people who work for the state government or the university are looking for affordable housing in a convenient location. Investors may want to consider searching for a bargain on luxury townhomes or apartment buildings in downtown Austin. Investors may want to avoid purchasing homes with the intention of flipping them in Austin. There's a steady stream of renters in Austin, due in part to the university that is located in the city, and many of them are not looking to become homeowners. In addition, home prices are high, so it's not easy for investors to score a great property at a low price with hopes of quickly flipping it for a significant profit. Whether you are looking to purchase an investment property in Austin or you are searching for the ideal single-family home in this thriving city, we can help you find the right house in this hot real estate market. For more information on the current market conditions in Austin, contact us today.